Today I will show you how to optimize your Windows Hard disk without using any Software. Optimizing you Hard disk will increase your Read and Write speed, so that you can read any file must faster then before and can copy files at higher speed. You must have remember that to Increase speed of copying any file on hard disk we where using TeraCopy this act similar to it and will copy files at faster rate. Just Follow the below steps to Increase Hard Disk Speed in Windows 7. STEP 1 :- Click on Start and Type RUN and open it. STEP 2 :- In Run Type SYSEDIT.EXE and press enter. 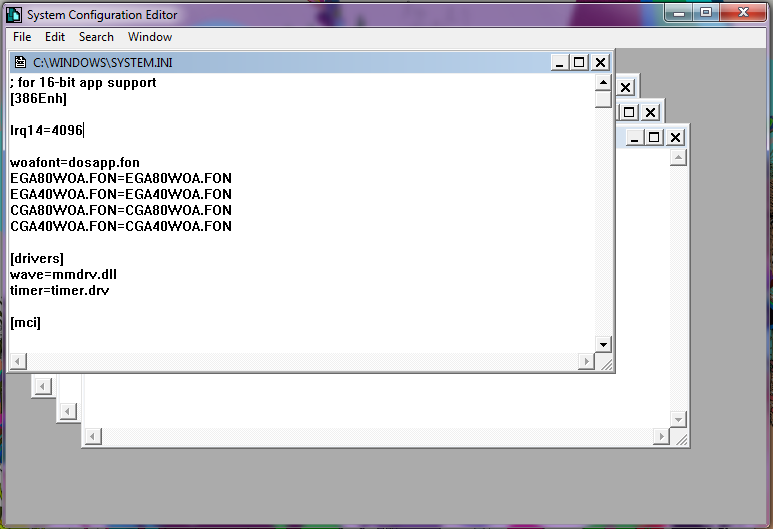 STEP 6 :- Click on the File menu and choose Save. STEP 7 :-Close system configuration editor and reboot your computer. Hope You have Enjoyed this Tricks, Please give your Feedback in Comment Box.